It's happened to all of us. We get into a pattern of waking and sleeping that sees us opening our eyes in the middle of the night. The room is dark, but sure enough, the clock reads the same time as it did the night before... And the night before that, and the night before that, and... Well, you get the picture. So, what's happening? Why has your body decided to suddenly nudge you awake in the wee hours? It certainly can't be good for you. After all, waking up in the middle of your sleep, and then struggling to fall back asleep makes you tired and cranky the next day. And sometimes, it happens even if we go to bed at the right time and do all the right little tricks, like sleeping on our left side and keeping the room cool. It's no secret that your body needs regular and deep sleep to stay healthy. So, what gives? There's a theory that states that waking at a certain time of night is actually a signal from your body about something going on inside. As you sleep, your body undergoes many states of activity. Think of it like housekeeping, while your brain takes a snooze, repairing tissue, releasing hormones for things like muscle growth. 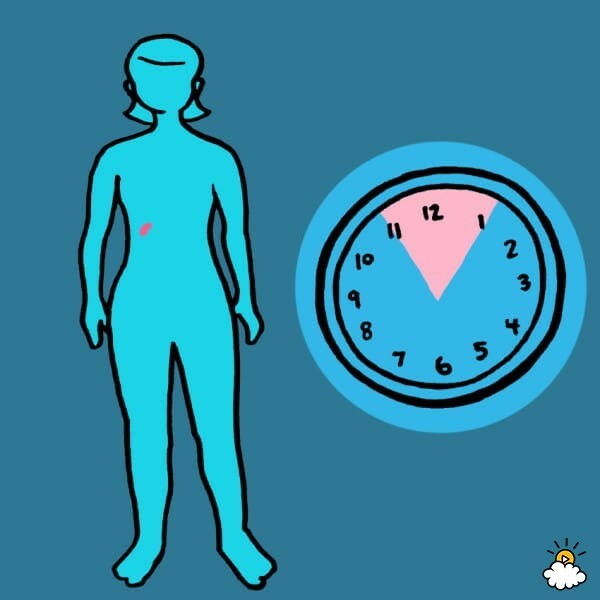 So, if you find yourself waking up, and the same time each night, it's theorized that your body is signaling you about a specific organ. This theory also has roots in the centuries-old Chinese practice of feng shui, which links times of day, parts of the body, and emotional states. Read on to see what your late-night waking might mean below! 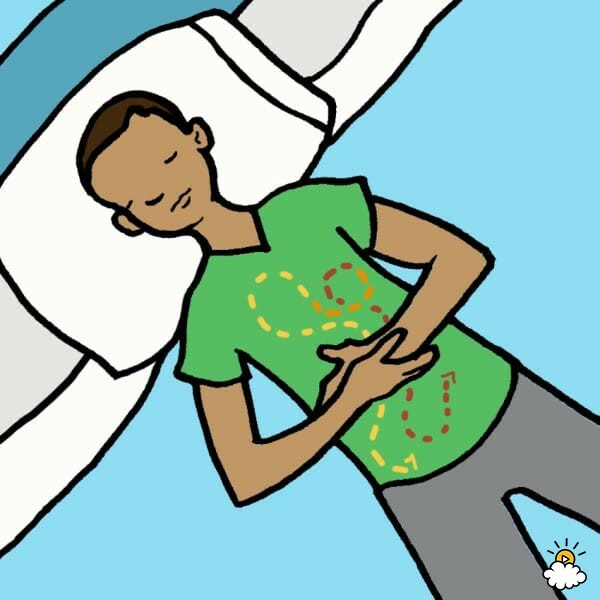 Everyone's body has an internal cycle of waking and sleeping. The amount of sleep and times of sleep will vary from person to person and will also change with age, with most people needing less sleep as they get older. 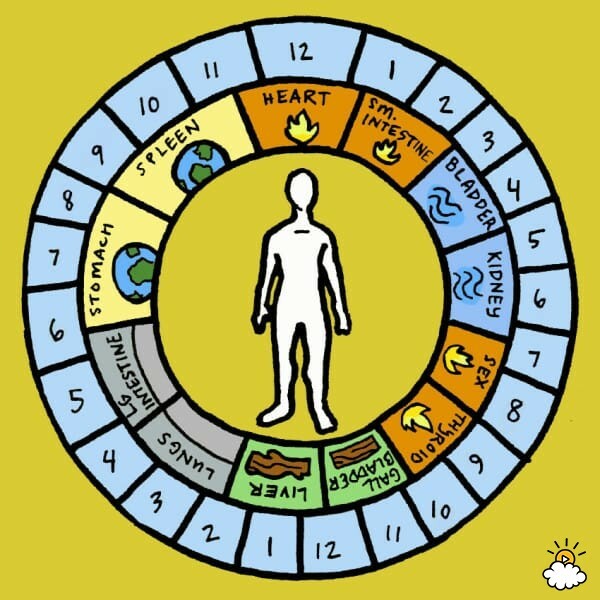 In feng shui, certain hours of the day are believed to be linked to different body parts. Therefore, waking up at the same time each night indicates an issue with that body part, or the emotions associated with it. We spend about a third of our lives asleep, but it's not a waste of time! In fact, it's necessary for staying alive. While we sleep, our bodies repair tissue, regulate our hormones, and basically tune themselves up for the next day. Without proper sleep, you're not going to be very healthy! So then, why would your body wake itself up in the wee hours and ruin all that? Well, it might be an underlying issue. 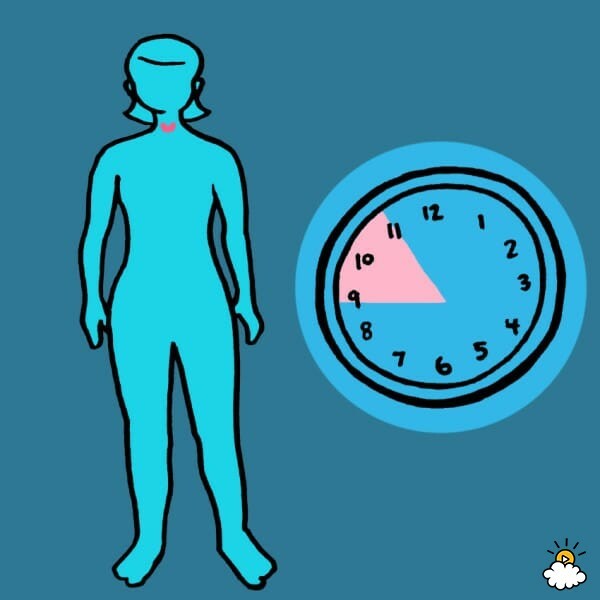 If you wake during these times, your thyroid may be acting up. Early stages of sleep sees our endocrine rebalance itself, so if you're waking up here, something is being blocked. If you have trouble sleeping early on in the night, it may be that you're having trouble calming down enough to sleep. The adrenal glands are responsible for the fight-or-flight hormone — adrenaline. Waking up during these times could mean that something needs to be confronted. Your gall bladder produces bile, which is needed during digestion and absorption. Bile is kind of nasty, albeit necessary, stuff, but if you're waking up during this time, it means something is irritating your gall bladder. Chinese traditional medicine associates the gall bladder with anxiety and resentment, so this could also mean that something is nagging at you and making you anxious. Between the hours of 1 and 3 in the morning is when the body cleans itself out, removing waste materials from the blood and other tissues. 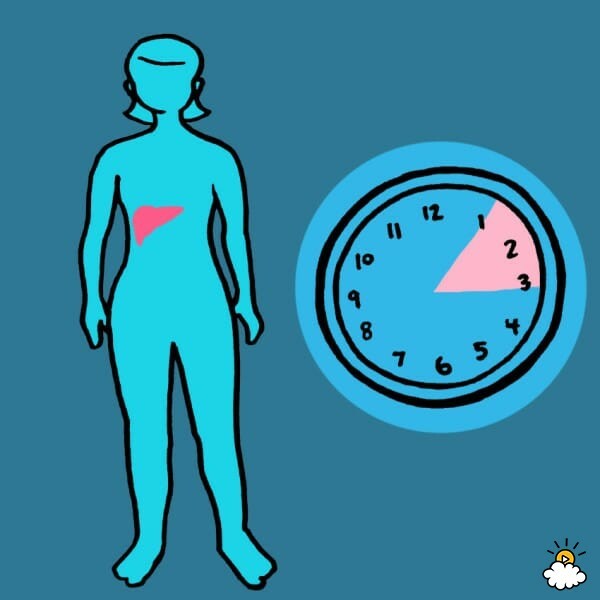 Your liver is the big organ in charge of detoxing, and so, is associated with this time. Waking up during this time can mean that you're backed up with "waste" in the form of negative emotions, and that you need to process them in order to flush them out. Consider also being nice to your liver, drinking plenty of water and cutting down on alcohol and caffeine. During this time, blood and oxygen is pumped into the muscles, replenishing cells with vital oxygen. This replenishment makes sure they're good to go again after being used all day. Traditional Chinese medicine also links the lungs with feelings of loss and sadness. So, if you wake up during these times, you may be feeling empty after a loss of some kind and not getting the emotional replenishment you need. Like the liver, the large intestine clears waste from the body and is the final stop for any unwanted food products. 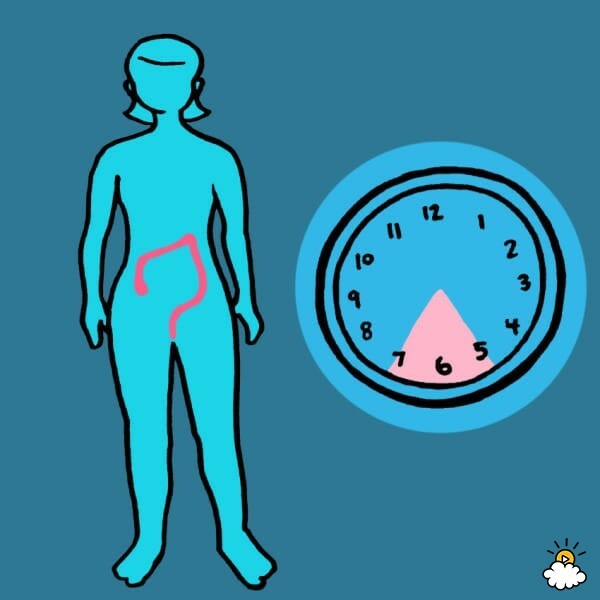 If you wake up during this time, especially with the need to use the bathroom, it could mean that something is happening with your large intestine. Waking during this time is believed to indicate that you may need to reassess what you're hanging onto and what you should let go. While it might be more noticeable at night, your body behaves similarly during the day. A certain slump in energy, feeling of anxiety, or other discomfort during the day can also be traced back to certain organs and their associated emotions. 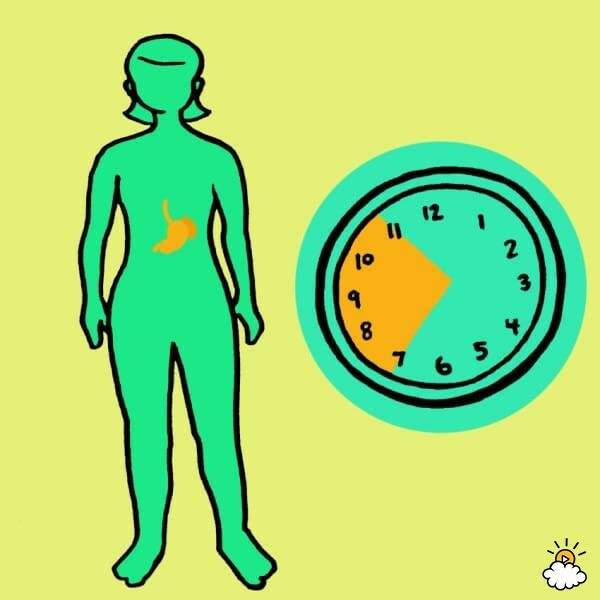 For example, from 7am to 11am is the time associated with the spleen and stomach. It's all about nourishment, both of yourself and others, and filling yourself up to start a new day. It's why breakfast is so important! The late morning and early afternoon are ruled by the heart and small intestine, which both deal with communication and relationships, according to tradition. If you feel an afternoon slump, try eating something, moving around, or talking to someone to ground yourself again and lift your spirits. Late afternoon and evening is all about reassessing at the end of the day. 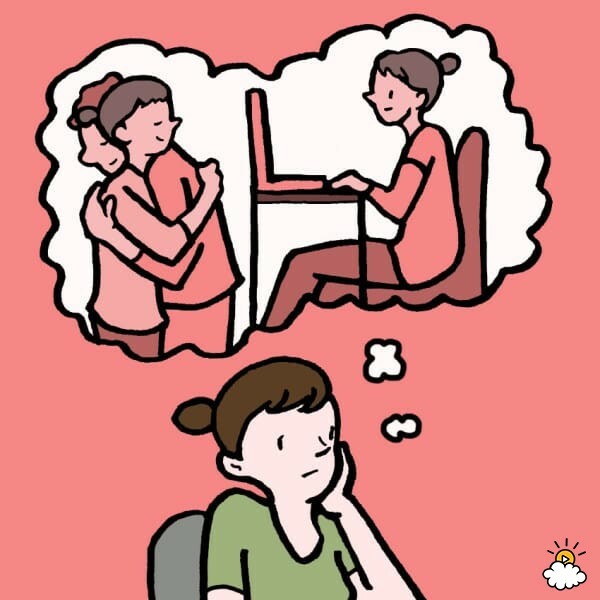 Feeling exhausted or crabby during this time may mean that you should reconsider your actions, including what you've been eating and doing. These organs are associated with one's personal resources, both physical and emotional, and remind us to take stock of what we have. 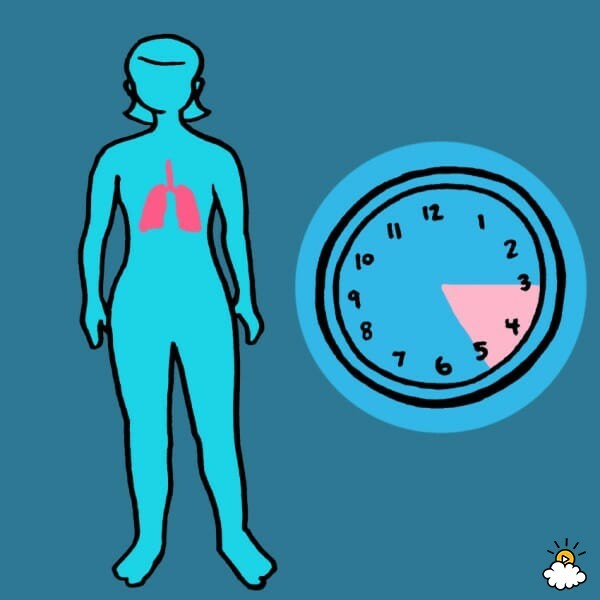 How Can I Adjust My Body's Internal Clock? If you notice that you're waking up in the middle of the night, feeling exhausted in the middle of the day, or experiencing some other unpleasantness at the same time each day or night, consider what you've been doing that may contribute to it. This includes diet, habits, relationships, and stress. See if you can pinpoint what's causing the issue, and work to solve it. You might find you're sleeping better. Did you know that even a improper mattress may prevent you from enjoying deep, restorative sleep?Casper beds and mattresses are the perfect fit for everyone and can help you sleep better at night. If you want to give it a try, they're offering a risk-free 100-night trial guarantee that every night is full of slumber, or you get your money back. Try it today, and get $50 off any mattress with the code LT50. Of course, if you're experiencing pain or other severe discomfort, contact a doctor. Paying attention to your body's little cues can make all the difference. SHARE these tips to help someone else tune into their body.